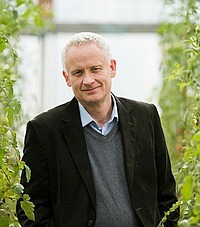 Charles, better known as Merf, has a diverse background in organic horticulture and agriculture both managing farms and undertaking research and extension in a range of countries. He therefore has a deep knowledge of real-world farming and science which means he is able to effectively bridge these two arenas to ensure that research will be applicable and implementable on-farm and that farmers understand the problems and limits of what research can achieve. Full details of Merf’s expertise and experience. LinkedIn page. BSc Zoology (Leeds), MSc Ecology (Durham), PhD Ecology (Sunderland), BA Mathematics & Statistics (OU). Simon is an ecologist, entomologist and, a statistician who has worked as a research associate at Rothamsted Research, Sunderland University, Wye College and Imperial College in the UK, and Canterbury University and Lincoln University in New Zealand. Simon’s research has covered a wide range of themes, from theoretical ecology, to invertebrate surveys, to the testing of agricultural chemicals. He has utilized basic field surveys to examine habitat and seasonal preferences of insects in the field and standard agricultural field trials to investigate crop protection products and the effects of insecticides on beneficial invertebrates such as earthworms and predatory lacewings. His investigations into the interactions between herbivorous insects, such as aphids, and their host plants utilized state-of-the-art molecular methods such as mass spectrometry and nuclear magnetic resonance. More recently Simon has developed an interest in using bootstrap methods to examine when sampling effort has reached acceptable levels in field studies of invertebrates (NZ spiders and Fijian moths) and in yield assessment of animal feed crops, such as fodder beet. Farhad has a long history in agricultural research and teaching. With a BSc from Iran and a Masters degree from American University of Beirut, Farhad completed a PhD in herbicide physiology and weed science at Lincoln University, New Zealand. Farhad has been working as a senior lecturer at Lincoln for over ten years and has also worked as a consultant in agriculture. He enjoys doing applied research and working with farmers, for farmers to provide practical solutions to various problems in weed management as well as other cropping and pastoral areas. The Future Farming Centre has access to a very wide and deep range of science and extension expertise through its associates which include the BHU Organics Trust board members. BSc (Hons.) Environmental Science and PhD (Southampton University). Linton is an ecologist and entomologist. He did his PhD in the UK at Rothamsted Research Station and his main research interests focus on agricultural systems, particularly in relation to conservation biological control. 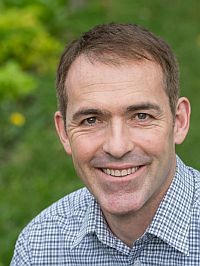 He has spent most of his career in academia, having worked at the universities of Bournemouth, Plymouth and Exeter in the UK, the University of the South Pacific in the Fiji Islands and now Unitec in New Zealand, although he also worked for the UK’s Environment Agency early in his career. Recent projects include a partnership with the BHU and Pete Lockhart at Massey University to use new genomic tools to detect pests and diseases in horticultural crop, which has received funding from AGMARDT and the BioProtection Core. He is also interested in the way predatory beetles respond spatially and temporally to their prey. He has worked closely with statisticians (Joe Perry, Kelvin Conrad and Colin Alexander) who have developed methods for characterising spatial distributions of insects using SADIE (Spatial Analysis by Distance Indices). You can find out more about these methods by visiting Kelvin Conrad’s website: (http://home.cogeco.ca/kfconrad/download.htm). Linton also works with colleagues in Fiji on a number of conservation-related projects. 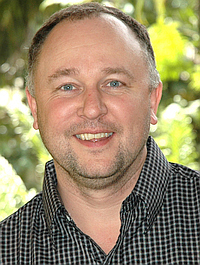 He has research collaboration with Bill Aalbersberg and Marika Tuiwawa at the Institute of Applied Sciences at the University of the South Pacific, Hilda Waqa-Sakiti at the Department of Forestry and with Karen Mapusa and Stephen Hazelman at POETCom (Pacific Organic Ethical Trading Community). 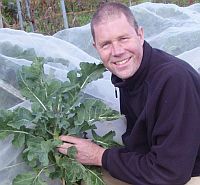 Tim is former manager of the Biological Husbandry Unit and has lectured for five years at Lincoln University in organic agriculture. He has written regular, mainly technically based, columns in OrganicNZ, NZ Gardener and Canterbury Farming as well as numerous popular articles in a range of farming publications and academic journals. He is qualified in microbiology and has research interests in soil fertility, interactions between microorganisms, plants and animals, and general sustainable agricultural technologies. 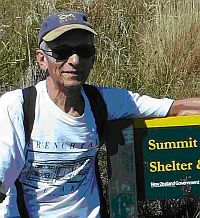 Tim has several years experience in intensive commercial growing and is the founding chairperson of Trees for Canterbury a community based native plant nursery and planting organisation with environmental and welfare aims. He has had several years of product development and technical transfer with Donaghys Industries Ltd.
Vesna has qualifications in agronomy and meteorology with a PhD topic on climate change impacts on agriculture and farm-level adaptive responses. She has excellent research and project management skills and is trained in crop modelling, climatic risk and environmental sustainability, life cycle assessment (LCA) and geographical information systems (GIS). Research experience has included plant physiology and nutrient uptake. Vesna has experience in commercially growing and selling organic vegetables. She has a strong interest in sustainable agriculture, environmental impacts of agriculture and addressing climate change. 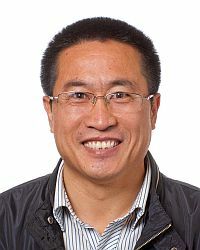 After graduating with a Bachelor degree in Plant Protection in 1991 from Gansu Agricultural University, Lanzhou, China, Zhao-Xiang worked in plant pathology for 26 years, in China, Australia and New Zealand. He completed a PhD in 2009 at Gansu Agricultural University, on diversity and taxonomy of Soil-borne Pythium spp. from semi-arid environments. He has worked on a wide range of plant pathogens and bio-control agent including: Fusarium, Rhizoctonia, Pythium, Phytophthora, Septoria, Cercospora, Botrytis, Erysiphe, Peronospora, Puccinia, Trichothecium, Erwinia, Pseudomonas syringae pv. actinidiae, nematodes and Trichoderma. Host plants included grapevines, vegetables, arable crops, fruits, and forest trees. He worked in the Ecosystem Sciences Division, CSIRO, Adelaide, Australia for 3 months in 2009, and in the Plant Pathology Division, Department of Agriculture and Food WA (DAFWA), Australia for a year from 2011 to 2012. Zhao-Xiang worked in the Bio-Protection Research Centre, Lincoln, from February 2013 to February, 2017 as a laboratory assistant, production technician and research technician. He was involved in several key projects, including control of Pseudomonas syringae pv. actinidiae in kiwifruit, and control of foliar diseases and disorders of Pinus radiata in New Zealand forest nurseries and plantations. Zhao-Xiang isolated and cultured Phytophthora infestans from potato tissue for The BHU Future Farming Centre. Our past staff are often still actively involved in the Future Farming Centre - often on collaborative projects. 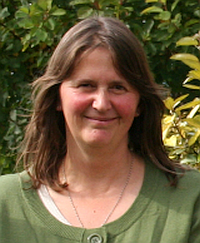 Marion has a background in sheep and cattle farming, spanning NZ, UK and Zambia. She then swapped gum boots for a desk and gained a Masters and PhD in Veterinary Parasitology. Her current research grapples with the problems of declining animal health on many farms, believing that healthy stock thrive on healthy feed grown in healthy soils. She has searched for natural anthelminthics amongst our native plants, in consultation with Maori communities looked for animal health remedies from traditional medicines and worked with farmers to implement the principles of Agroecology. Farming within the constraints of the land, improving biodiversity and providing the best possible forage options for productivity are major drivers.